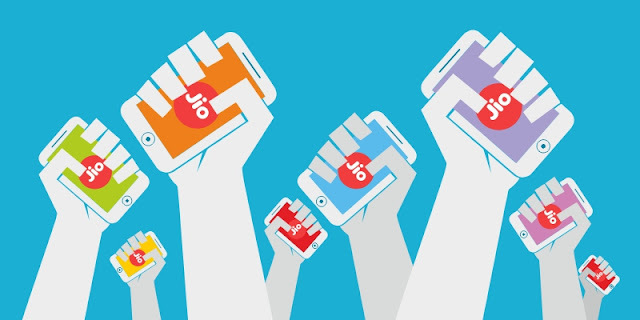 Reliance Jio Offers: The Reliance Jio launched new Rs. 399 Jio Dhan Dhana Dhan offer back in July, after the old Rs. 309 offer ended. Now the 84-day Dhan Dhana Dhan offer is ending soon for those who had activated it back in August, it has launched new plans for Prime members that come into effect on October 19th. But you can avail the benefits at Rs. 399 till October 18th and also get 100% cashback as vouchers. 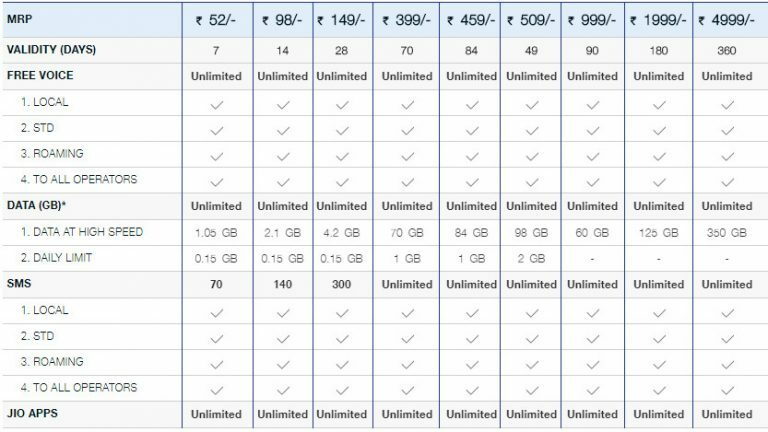 The 84-day validity plan with 1GB data per day now costs Rs. 459 and the current Rs. 399 now comes with 70 days validity. The Rs. 509 plan that offered 2GB data per day now comes with 49 days validity instead of 84 days with the Dhan Dhana Dhan offer. Other Rs. 999, Rs. 1999 and Rs. 4999 plans now come with original benefits, so you don’t get more data and validity that was offered during the offer period. Rs. 149 plan now comes with 4.2GB data compared to 2GB, but it gets a daily restriction of 0.15GB. There is also a new 14-day plan for Rs. 98. Check out the list below. Postpaid plans have also been revised that now get only 1-month validity and less data. Check out the list below. 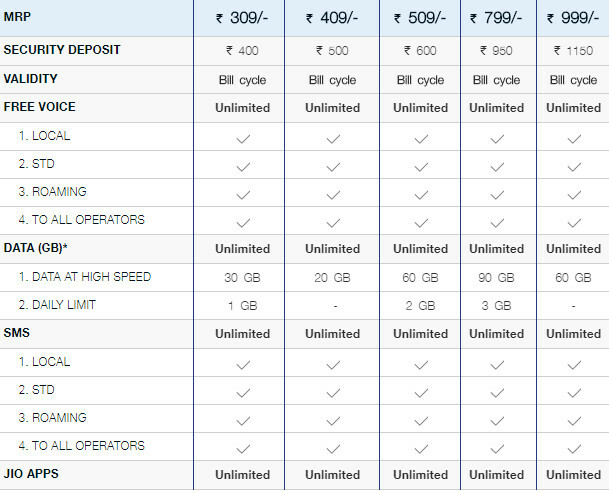 All these get unlimited local and STD calls and SMS ( apped at 100 free SMS per day). You can check more details about the plans on jio.com.